“I now have doubt about sorting the doctrinal from the papal opinion.” Fr Z replies. All this confusion with the death penalty has caused me to doubt the authority of what I assumed were books of bedrock Catholic Doctrine. Of course there was the first JPII Catechism, then his revision, both of which I thought were 100% settled Catholic Doctrine. Discovering that pre-V2 teaching of the death penalty was other than as presented in the current CCC, I now have doubt about sorting the doctrinal from the papal opinion. So what Major Catechisms are doctrine/dogma only that are not infused with papal opinion or zeitgeist that I can use for definitive answers when confronted by lapsed Catholic and non-Catholics? As far as I’m concerned, from my training in Patristic theology, the 16th c. Council of Trent’s Roman Catechism is “modern”. Also, be careful when reading certain sites and their commentary on this. The Id of Traddy-dom is pretty yakkity right now. This question – your doubt – underscores one of my principle concerns about the change to CCC 2267. Firstly, my problems with the change don’t have so much to do with Pope Francis’ opinion that capital punishment should never be used. Maybe he is right and maybe he isn’t. 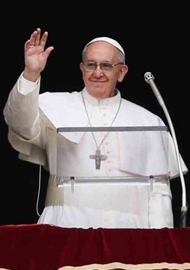 Were one to consult all the Popes back through history, you would get an answer different from what Francis has opined, even with variations about the circumstances and mercy, etc. Also, the inserting of one paragraph into the CCC that cites only Francis’ own speech as a reference in the notes is pretty thin stuff. Remember that things don’t become true by their being put into the CCC. They are truth, and verified, doctrines with a serious pedigree before they go into the CCC. They are put in because they rest on solid footings. To my mind, that new 2267 doesn’t come up to scratch, when placed alongside centuries of teaching, vaporous claims about public opinion (as if that were a criterion for confirming doctrine), and a dubious argument from the point of view of the inviolability of human dignity, which seems not to take into consideration the eternal soul and fate of the condemned. I am concerned about this paragraph not because of the opinion it expresses about the use of capital punishment, but because this is an attempt to instrumentalize the CCC for reasons other than teaching doctrine. Note that there is in new 2267 an admonishment to nations not to use it. Is that what catechisms are for? Another reason, if this paragraph on this teaching can be altered in such a way, then what otherparagraphs will be changed. This change strikes me as a trial balloon and a call to special interest groups to redouble their calls for changes to the CCC. Homosexualists are already emboldened. Also, and this is really a problem, this change to 2267 has sown doubt in people’s minds, just as it has done in yours, about the reliability of what John Paul called a sure reference. Hence, I an not a fan of this change. However, let’s not make more of it than we need to. No catechism does it all. Also, even the Catechism of the Catholic Church was also intended as a model for local catechisms. It is good to have a ranger of sources, classic and new. Cross-checking is useful. Old manuals of theology are also great resources. However, they are virtually all in Latin, which is hard for most people or inaccessible. That said, keep in mind that this latest change to the CCC in paragraph 2267 is an alteration of one paragraph concerning a tiny sliver of criminals who are themselves a minority in society. Also, it deals with contingent moral choices about that tiny sliver of the small fraction. Unless you are a governor of a state or an executioner, this paragraph won’t have much bearing on your daily life. Neither does it concern issues far closer to the core of the Faith. 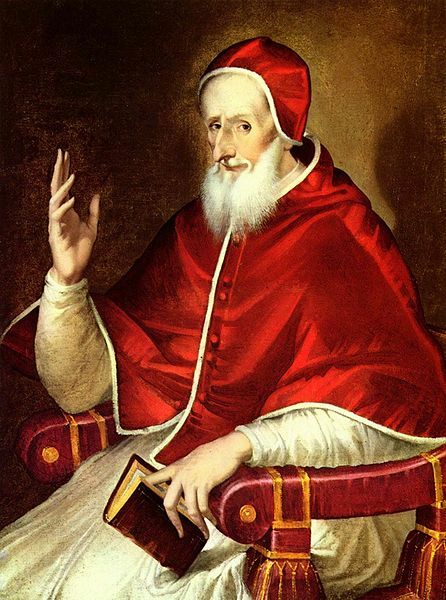 Also, we have not yet seen the official text of 2267 in the Acta Apostolicae Sedis, which is the official instrument of promulgation of the Holy See. I’m telling people to keep that CCC close and, with an erasable pencil draw a circle around that paragraph and put a question mark by it… for now. Meanwhile, we have multiple catechisms at our disposal. Chief among them are these. The Catechism of the Council of Trent for Parish Priests. Also, the Baltimore Catechism, which has different volumes for different ages (US HERE – UK HERE). It’s so useful, in its Q&A format. And the Catechism of Pius X is also great. (US HERE – UK HERE). There are many good resources available. Finally, here’s a little rant. Each time the Pope or one of his creatures says something weird or at least confusing, then we, all of us, have an opportunity to educate ourselves. We ought to be driven to our books and to our sound, reliable priests, or at least to take steps to find them and use them as good resources. When you love someone, you want to know all about that person. Right? And, when love is genuine, charity, sacrificial love, then the more you come to know, the more you choose to love. Love is an informed choice, not a gooey feeling. If we love our Faith, we want to know more about it, always. We make distinctions about the content of the Faith. We talk about the Faith in which we believe (fides quae creditur) and the Faith by which we believe (fides qua creditur). The former, we study and dissect and memorize and dispute, etc. The later is infused gift of the Holy Spirit. They work together, our capacity and God’s grace, which raises and perfects our natural gifts. In making these distinctions, remember too that the true content of the Faith is a Person, the Divine Person of the Word, Our Lord Christ Jesus. He is in and behind and before all the truths that we have received faithfully from Apostolic Tradition onward. When the Church teaches, He teaches. He is the content. We can, therefore, have a real relationship of love with the content of our Faith. When you love, you want more. It costs, but the cost is not counted. Today we tend to confuse “love” with ooey gooey good feelings, like early romantic relationships. However, real love is a choice, not a mere impulse. I’m not getting much ooey gooey right now, and I think most of you aren’t either. Hence, when the object of your love becomes difficult, unattractive, challenging, unlikeable, problematic, we choose to love anyway. Sacrificial love, charity, means taking the hits. But don’t discount the ooey gooey! In a way, our old fashioned pious devotions and the prayers of our forebears with their florid language are like the ooey gooey part of romantic love. But, even within those devotions there is deep doctrine, profound truths. The devotions should drive us to learn more, go deeper. Going deeper should then bring us back to our devotions with greater fervor. Ooey gooey is a starting point and, maybe, even a re-starting point and a re-freshing point. Amplify this by a factor of a gazillion regarding our participation in Holy Mass! We are both intellective and affective. They come together in the tension of fides quae and fides qua, our willed choice to know and to love. After all God made us His images, to act like He acts, to know, to will, to love. Catholics who truly love their Faith shouldn’t need weird stuff and controversies to spur them into their catechisms and the constant study of and review of the Faith. We should burn with a desire to know more more more anyway and all the time. In a lot of ways, I admire greatly the practice of orthodox Jews who assiduously study and debate about their “portions” of Torah and the commentaries that surround them. We could use some of their discipline. Maybe that’s one reason why, in this troubled time for the Church, I have wryly coopted the language of the Left to suggest that Catholic should form base-communities of study and of prayer and of old-fashioned pious devotional practices. Our forebears did this, with their weekly return to church on a weekday for devotions such as the Novena to Our Lady of Perpetual Help, for 1st Friday, 1st Saturday and Way of the Cross in Lent, Rosary, Exposition and Benediction, Processions and Missions and Vespers on Sunday afternoons. FATHERS! BISHOPS! We need old-fashioned prayers and devotions in our churches! Start them and invite people to come! Let’s think outside the box by opening up the good old boxes we already have and have closed for a while. We have to be the householders who bringeth forth things out of our treasure new things and old. Perhaps a place to start with these devotions could be for reparation for sins and even for the grace of compunction. 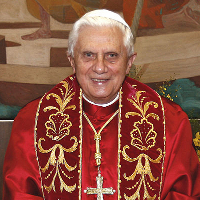 Benedict XVI wrote a pastoral letter to the people of Ireland after the scandals shredded the Church and faithful. He talked about how abandoning devotions eroded them and he recommended their recovery along with the treasures of their cultural heritage. This is my RX for what ails us. More study, and more pious, old-fashioned devotions at home, sure, but especially in parishes. 1 Response to “I now have doubt about sorting the doctrinal from the papal opinion.” Fr Z replies. Fr. Z, words of wisdom. I couldn’t agree more with your sound and thought-filled advice and references. Thanks!